Privacy abounds in this Somerset estate on an immaculately landscaped 3+ acre lot. 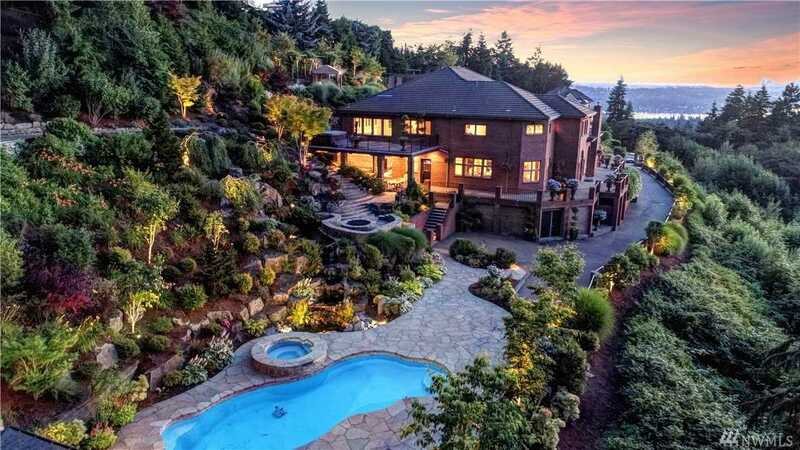 Unparalleled & unobstructed 180 degree view of Lake WA, Seattle & Bellevue Skylines, Olympic & Cascade Mtns. Western exposure provides breathtaking sunsets! Inviting interior spaces & spa-like amenities throughout. Backyard oasis w/stunning pool, hot tub, sports court, putting green, & cascading waterfall. Easy access to Factoria Mall, DT Bellevue, I-90, I-405. Located within best school district in Washington! Directions: From I-405 to Coal Crk Pkwy. Head E on Coal Creek, N (left) on Factoria Blvd, R at 1st light onto Newport Way, R on Somerset Blvd, L onto SE 43rd. Gated – Pvt Dr at end of street.